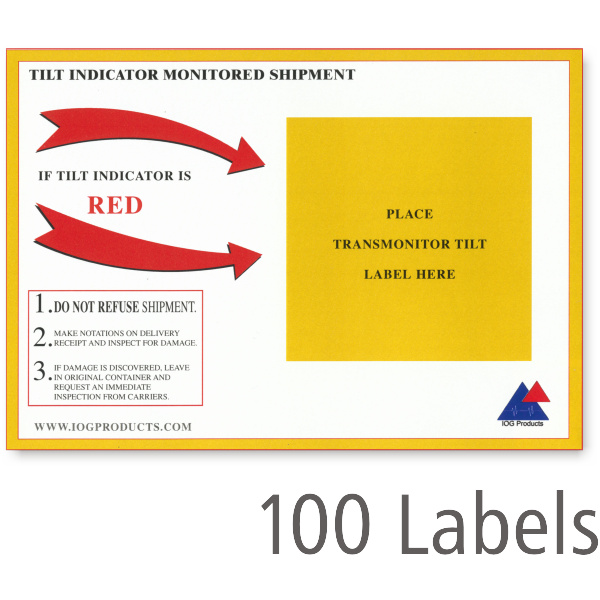 Use these Tilt Indicator Companion Labels in conjunction with our 2.5" x 2.5" Tilt Indicator Labels. 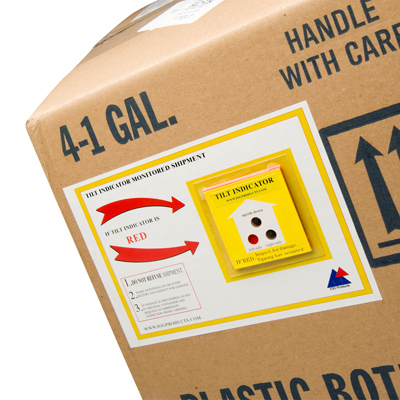 • A 6" x 8.5" companion label draws greater attention to tilt indicator label, explain its function in more detail, and send a clear warning to handlers. 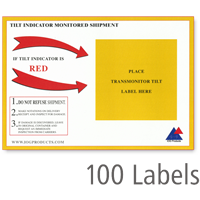 • Labels come in a pack of 100.